Baltimore staffing technology firm will use funds to ramp up market expansion, research and development. 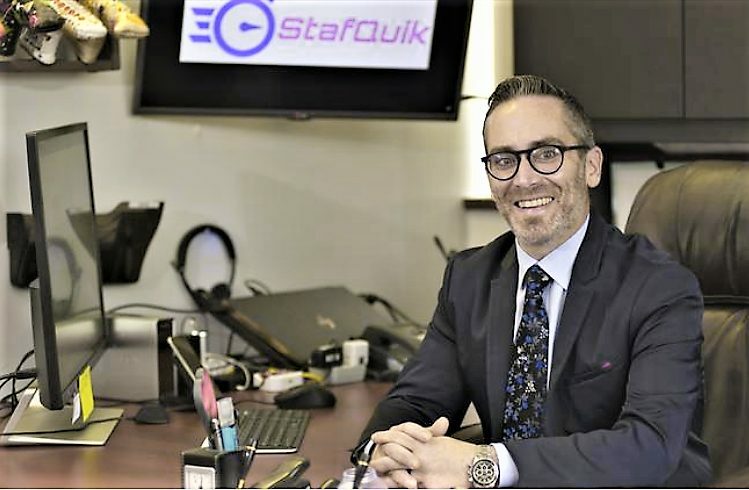 StafQuik, a contingent staffing technology company, closed on a $500,000 pre-seed funding round at the end of the first quarter of 2019. StafQuik will use the funds to ramp up research and development for its proprietary software platform, as well as market expansion and product roll-out. Staffing agency leaders as well as technology experts in other labor-intensive industries recognize that StafQuik’s software platform will transform operations and vastly improve client satisfaction. Epstein observed, “There is a tremendous need for all kinds of companies to stay engaged with their highly mobile talent pool, no matter where they are or what industries they are in.” StafQuik’s platform broadcasts work opportunities through “push notification,” affording agencies the ability to connect instantly with large segments of their talent pool. In addition to improving the agencies’ bottom line, the technology improves the quality of talent deployed, retains top talent and can be used as a talent acquisition tool. StafQuik, a contingent staffing technology company, is introducing a faster, more efficient way for staffing agencies to connect their workforce to job opportunities. Using StafQuik’s platform, an agency can stay engaged with their highly mobile talent pool no matter where they are, independent of their devices or phone numbers, with significant improvement to the bottom line. StafQuik’s easy to use platform gives recruiters the ability to instantly connect the right workers to the right positions. Workers are notified of opportunities in less than one minute, and recruiters receive responses in minutes rather than hours, while getting insight into workers’ progress to job sites. Clients get all positions filled without any “no-shows,” resulting in more billable hours and time savings for recruiters. StafQuik is designed to work well with temporary staffing agencies’ back-of-house systems, such as payroll, applicant tracking and billing. StafQuik can demonstrate potential savings of $100,000 per year or more, while also providing best-in-class service to corporate clients. More information is available on the company’s website, http://www.stafquik.com. StafQuik is a contingent staffing technology company, offering a SaaS platform for deploying contingent workers.